The web belt has no pre-set holes – just push the buckle prong through at the point you require. 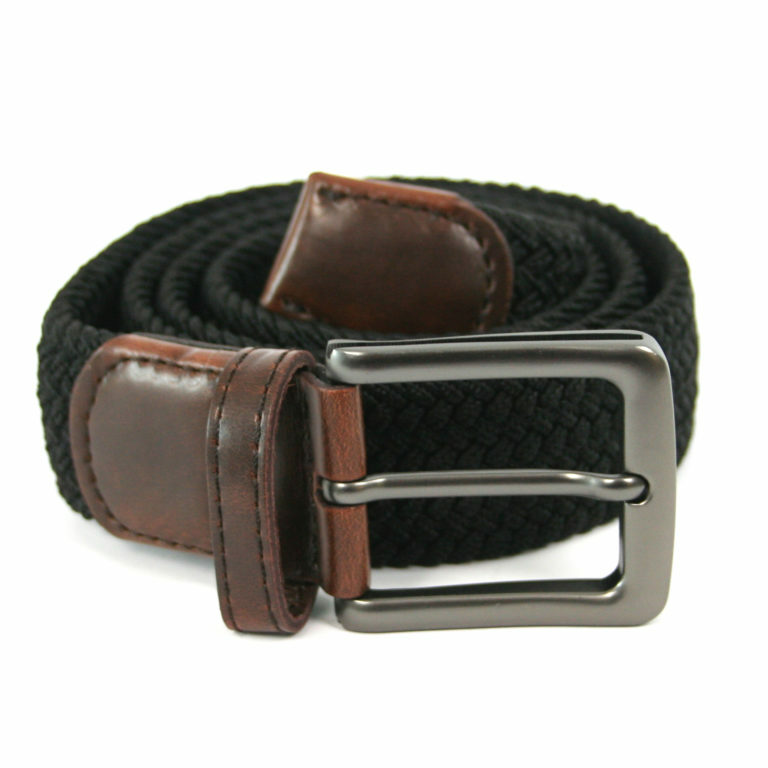 The webbing itself is also elasticated so overall length of belt can vary from approx 44-50 inches (112-130 cm). Great for those times when you want a little more room! Available in several great colours to suit any outfit and in it own cotton bag so it would make a great gift. Width of belt is 1 1/4 inches (3 cm).